Littlelight jumped up to where Maplestar would be calling the ceremonies. She had asked Littlelight to do these ceremonies, due to her being 'under the weather'. "Everyone old enough to hunt and catch their own prey, gather around for a story ceremony!" he called. Firekit padded gracefully from the nursery. Her mother (made up mother) had groomed her so she was silky and lovely. Her mark shone but Firekit had a lowered head. She was excited, but the mark embarresed her. Then she sat down. Firekit felt energy burning inside her like an explosion. She fought urges to not jump up and down like a newborn. She sat there calmly but her excitment flared in her eyes. Rosekit excitedly padded out of the nursery, with her eyes shining as brightly as her well groomed fur. She sat down beside firekit and leaned over to whisper in her ear," I'm SO excited! We are becoming apprentices!" And she muttered half to herself half to firekit, " I hope I don't mess anything up..." Turning her gaze toward littlelight, she waited for him to continue. "You wont, its easy," Firekit said assuringly. Then she looked up waiting for Littlelight. Littlelight took a breath and continued to call the ceremony. "Today we are gathered to welcome new apprentices into the Clan." He set his soft gaze on the two kits. "Firekit, Rosekit, you both have spent your first 6 moons in the nursery in our Clan. 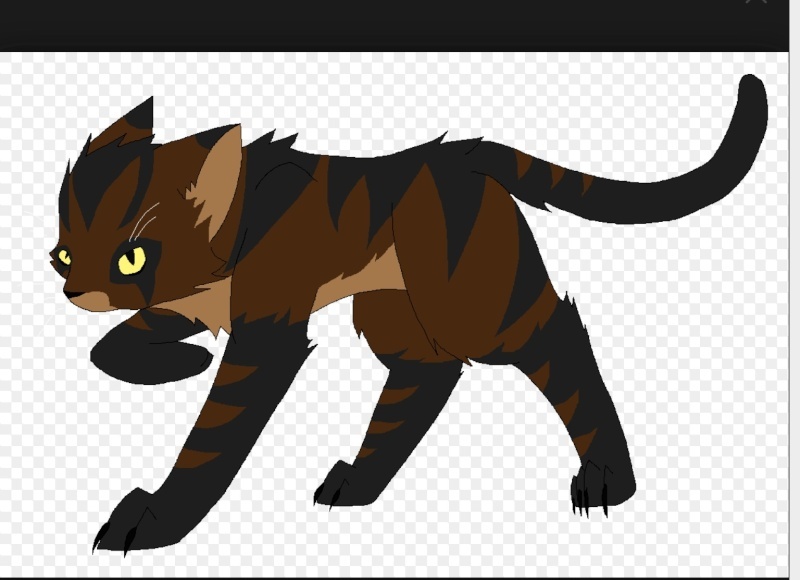 Firekit, from now on, until you become a warrior, you will be know as Firepaw. Your mentor will be Cinderfur, so make sure to respect her." He then looked over at Rosekit. "You will be known as Rosepaw. Your mentor will be Briarheart, so listen well to her wisdom." Firekit smiled and raised her head to touch noses with her new apprentice. Rosepaw tingled all over with excitement as she touched noses with her new mentor. She was an apprentice! This was so exciting! Purred happily and went to lay down in the apprentice den- her new den!